Firstly I just want to say thank you to Rachel Gilbey of Authoright, for inviting me to be part of this lovely blog tour for The Policeman Pete Books, in the Barbara Ann Book series. This is my second book review in the series but I keep up with the books on the tour every day. You will find my reviews every Wednesday and Sunday, while the tour runs. Enjoy! Today in this story Policeman Pete and Policewoman Nicola are working together again but this time in the day time. When Policeman Pete is taking Nicola to meet Mrs. Tibbit, who owns a large stables, they see a horse lying down in the field and of course have to investigate. They have a wonderful surprise and Nicola goes to get help. There has been a very unexpected early delivery which everyone is delighted about. This is a lovely story supported by beautiful pictures. It opens up so many conversations and games to play as well as encouraging the child to tell the story through the pictures. Policeman Pete was actually based on a real village bobby where these books are set. Martin Warburton, retired for several years, still lives locally. I received a copy of this book for review purposes as part of a blog tour. This is the 8th book that I have read and reviewed in the series. My opinions are my own and unbiased. This is the very last day of this tour. It has been quite a wonderful adventure for everyone that has taken part and I hope you have grown a real fondness for the series as we have. 8 Policeman Pete says that if you are playing down on the beach it is best to wear jelly sandals so you don’t cut your feet if you happen to stand on anything sharp. Brought up and schooled in Oldham, Greater Manchester, at the age of 17, Barbara decided on a nursing career. Later, she set up her own day nursery which she ran for a few years before supporting her husband in his busy profession. 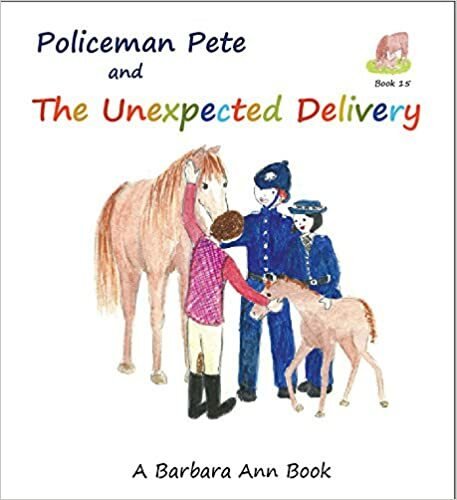 Fast forward to 2013, Barbara started writing and illustrating the Policeman Pete series. She currently lives at Brimmycroft Farm, in the small Saddleworth village of Denshaw, Oldham with her husband, horses, geese, ducks and cats. She is an active participant in charities involving law enforcement including the Blue Lamp Foundation. She has previously appeared on BBC Radio Manchester and been featured in the Oldham Advertiser and the Manchester Evening News. WELL THIS IS LAST OF THE POLICEMAN PETE BLOG TOUR BOOKS BUT DO WATCH OUT FOR MORE VERY SOON. I HOPE YOU HAVE ENJOYED THIS SUPER TOUR AS MUCH HAS I HAVE. The Policeman Pete books are ideal for children aged between 3 – 6 and are perfect gifts when bought as a set.